'Rough Edit' exhibition at InterviewRoom11, Edinburgh Art Festival. The publication for this exhibition can be purchased through the Store page on this website. Documentation of the performance event for Rough Edit exhibition by Janie Nicoll and Alex Hetherington at InterviewRoom 11, Edinburgh - the video can be seen Here . 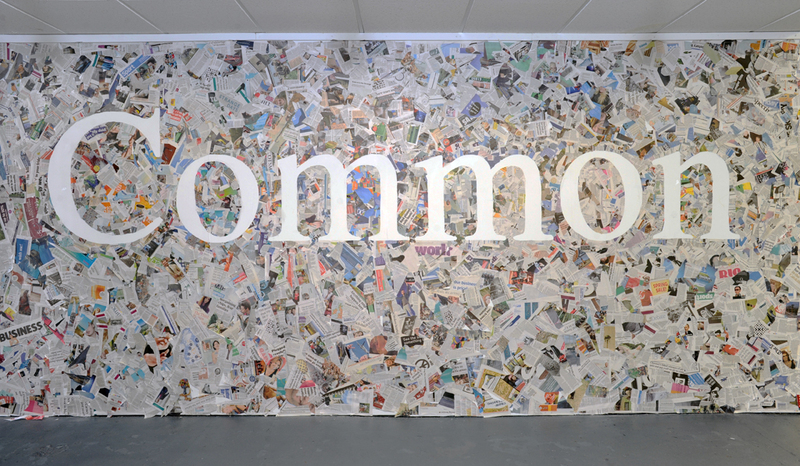 The text was created by working with the words in the installation and also as a poetic response to the themes, ideas and text in the exhibition. 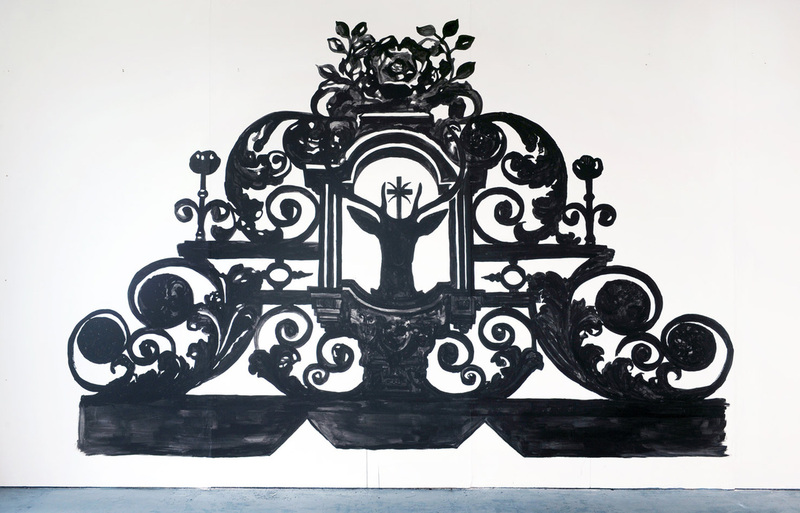 "Queen's Gate" July 2014 , wall painting, created in collaboration with Scott McCracken for 'Rough Edit' at InterviewRoom11, part of Edinburgh Art Festival. 'Portcullis' image made using old office workers clothes, for the exhibition 'Rough Edit' at InterviewRoom11, artists run space, part of Edinburgh Art Festival 2014. 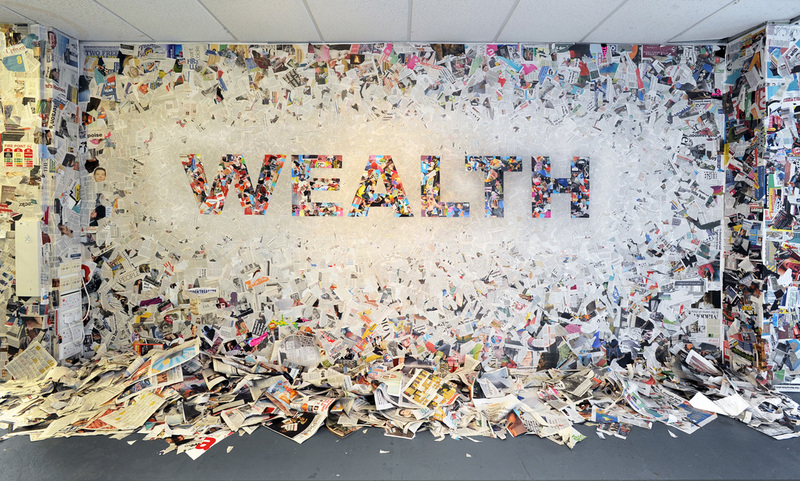 "WEALTH" installation for "Rough Edit" at InterviewRoom11, Edinburgh for Edinburgh Art Festival, July 2014.